The Anais Nin Foundation promotes the appreciation of Anais Nin, a 20th century writer famous for her groundbreaking diary. Driven by self-analysis, the arts, love and travel, Nin's writing was ahead of its time and is now more relevant than ever. We are a non-profit organization that hosts events and periodically releases previously unseen material from Nin's life and vast body of work. Please join our mailing list to get the latest updates and news. The Anais Nin Trust was created in 1975 to manage the literary estate of Anais Nin. 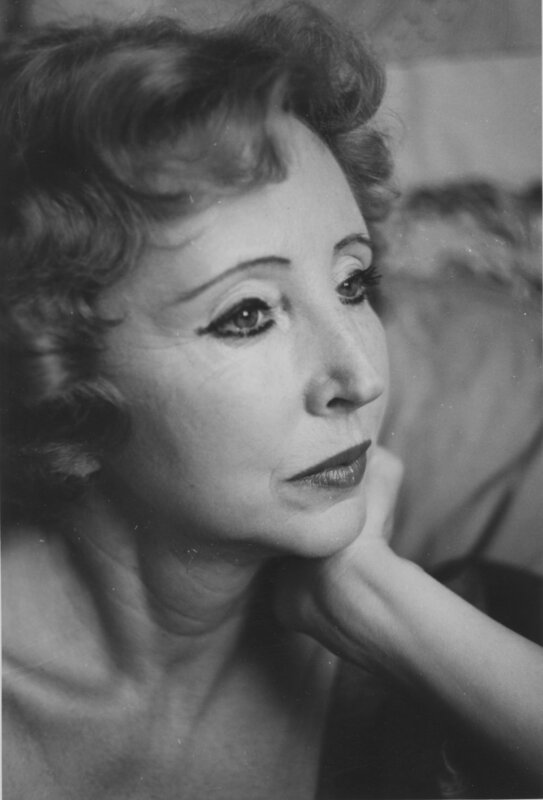 The Trust is dedicated to preserving Anais Nin’s legacy through the promotion of Nin scholarship, productions, and publications. The Trust and Foundation maintain copyrights over text, images, and recordings of or by Anais Nin. We also own the copyright for Henry Miller’s letters to Anais Nin and Ian Hugo’s engravings. The art of Anais Nin cuts across the traditional literary categories. She combines poetic lyricism with an extended fable, blurring the distinction between poetry and prose. Her writings are presented to us both as separate, self-contained compositions and as part of a continuous work-in-progress; moreover they hover in that contemporary no-man’s land between autobiography and fiction. While many writers see what is before their eyes, Anais Nin looks into the heart of what confronts her, dissolving barriers, allowing us to participate, through the alchemy of her words, into the depths of the things which surround us and in whose shallows most lives are spent. Kim Krizan is the Academy Award-nominated co-creator of the “Before Sunrise” film trilogy. She is also an Anais Nin scholar and archivist. Krizan earned a Master’s degree in literature with a minor in psychology; her Master’s thesis, titled “Anais Nin and the Psychology of Creativity,” explored Nin’s writing process. Krizan wrote a tongue-in-cheek history of powerful women, titled Original Sins: Trade Secrets of the Femme Fatale. She teaches writing at the college level in Los Angeles. Steven Reigns is a Los Angeles-based poet and educator, and was appointed the first City Poet of West Hollywood. He has organized three large-scale Anaïs Nin events, one being “Anaïs Nin @ 105” at the Hammer Museum in 2008 and most recently he co-produced “The Allure of Anaïs Nin” at Antioch University Santa Barbara. He has published dozens of chapbooks, poetry collections, and edited four anthologies. He holds a BA in Creative Writing from University of South Florida, a Master of Clinical Psychology from Antioch University, and is a twelve-time recipient of LA City's Department of Cultural Affairs' Artist in Residency Grant program.